" This was excellent I was able to find what I was looking for and more for the future in just a few minutes." and to personally know your coach, your captain, your director. The best followers know intimately the one they are following. Carry this with you to consult each morning, noon and night for the prompts, suggestions, thoughts, and encouragement during your NOT A FAN experience. In fact, you may want to read this book before you answer at all. Consider it a "Define the Relationship" conversation to determine exactly where you stand. You may indeed be a passionate, fully devoted follower of Jesus. Or, you may be just a fan who admires Jesus but isn't ready to let him cramp your style. Then again, maybe you're not into Jesus, period. 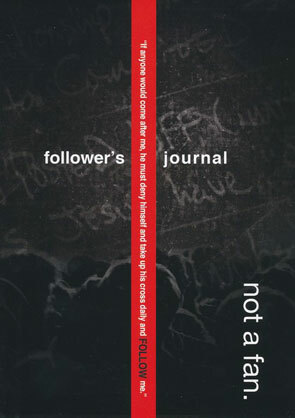 In any case, don't take the question-Are you a follower of Jesus?-lightly. Experience unbelievable love, unlimited hope and uncommon grace. From Alex and Stephen Kendrick. Inspired by the motion picture, War Room.